266 pages | 34 B/W Illus. Water control and management have been fundamental to the building of human civilisation. In Europe, the regulation of major rivers, the digging of canals and the wetland reclamation schemes from the sixteenth to nineteenth centuries, generated new typologies of waterscapes with significant implications for the people who resided within them. This book explores the role of waterways as a form of heritage, culture and sense of place and the potential of this to underpin the development of cultural tourism. With a multidisciplinary approach across the social sciences and humanities, chapters explore how the control and management of water flows are among some of the most significant human activities to transform the natural environment. Based upon a wealth and breadth of European case studies, the book uncovers the complex relationships we have with waterways, the ways that they have been represented over recent centuries and the ways in which they continue to be redefined in different cultural contexts. Contributions recognise not only valuable assets of hydrology that are at the core of landscape management, but also more intangible aspects that matter to people, such as their familiarity, affecting what is understood as the fluvial sense of place. This highly original collection will be of interest to those working in cultural tourism, cultural geography, heritage studies, cultural history, landscape studies and leisure studies. "Waterways and the Cultural Landscape offers glimpses of waterways’ future prospects, noting, for example, the potential for digital appreciation. One might hope the editors’ optimistic vision for human–water relations comes to fruition. This will only be known through greater attention to all types of waterscapes, furthering the scholastic endeavour this book initiates and celebrates." 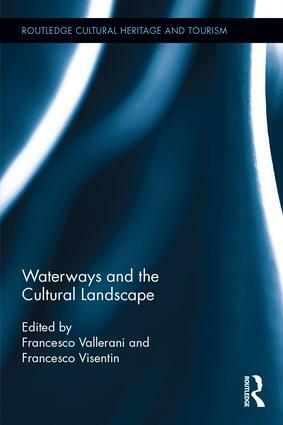 "The volume arrives with laudable punctuality an investigative topic of great interest: the relationship between inland waterways and cultural landscapes. A further aspect of particular interest in the volume is represented by the cut comparative approach, which, by comparing case studies in several European countries, offers the opportunity to reflect on the relationship between geographical typology (the way of internal water) and its territorial incarnations in different countries and regions, expression of a fruitful argumentative tension between a reading that favors affinities and another complementary perspective that returns instead the differences and uniqueness related to individual places." the present. Although it might not sit squarely within the scope of nautical archaeology, the authors and editors have put together a useful collection that is both intriguing and encouraging. Francesco Vallerani is professor of geography at the University Ca’ Foscari of Venice, Italy. His main fields of expertise are human and cultural geography, landscape evolution and heritage, with special focuses on waterscapes and water-based sustainable tourism in both European and South American countries. Francesco Visentin is a human geographer with research interests in sustainable tourism and cultural history. His research focuses on water and rural landscapes changes especially in Italy, Spain and England. He is currently a fellow research at the Ca’ Foscari University of Venice, Italy, involved in some projects concerning cultural heritage tourism. The Routledge Cultural Heritage and Tourism Series offers a much-needed forum for original, innovative and cutting-edge research. This series is aimed at upper-level undergraduates, researchers and research students, as well as academics and policy-makers. Titles within the series are empirically and/or theoretically informed and explore a range of dynamic, diverse and topical areas, drawing across the humanities and social sciences to offer interdisciplinary perspectives. This series encourages new theoretical perspectives and showcases ground-breaking work that reflects the dynamism and vibrancy of heritage, tourism and cultural studies.